When the late Professor Harold Laski of the London School of Economics and Political Science acknowledged this principle in his book, “A Grammar of Politics”, his main aim was to reiterate the rationale of meaningful politicking in a democracy. The learned professor knew that without an acceptable judicial process in administration, a community is robbed of an ingredient of political stability, peace and development. What is this confiscation of freedom the President was talking of, and how can it be guaranteed in a democracy? It is respect of the principle of making sure that issues that rob the nation of democratic values are relinquished before they destroy what the nation needs to forge ahead in peace. The President’s instruction for the creation of a common law section at the Supreme Court, letting magistrates work where they master the language; recruitment of more Anglophones lecturers in the National School of Administration and Magistracy; increase in the number of English-speaking Judges in the nation’s highest courts, and setting up of a Common Law Department at the National School of Administration, portrays his commitment to the solution of a crucial problem. This decision comes up after the setting up of a Commission to see about the demands of bilingualism and biculturalism. This also portrays the President’s concern for an end to a crisis that could result in the loss of more lives and property. While some people may not agree with this observer, the truth is that unlike some Cameroonians who consider the common Law lawyers’ complaints, a none-event, President Biya has proven to compatriots that he listens to them and acts with patriotism in spite of biased influence. The plea from fellow Cameroonians now is for the Head of State to continue with this good will which he started by seeing that the OHADA texts were made available in English, creating a Commission for the Promotion of Bilingualism and culturalism, and appointing its members. 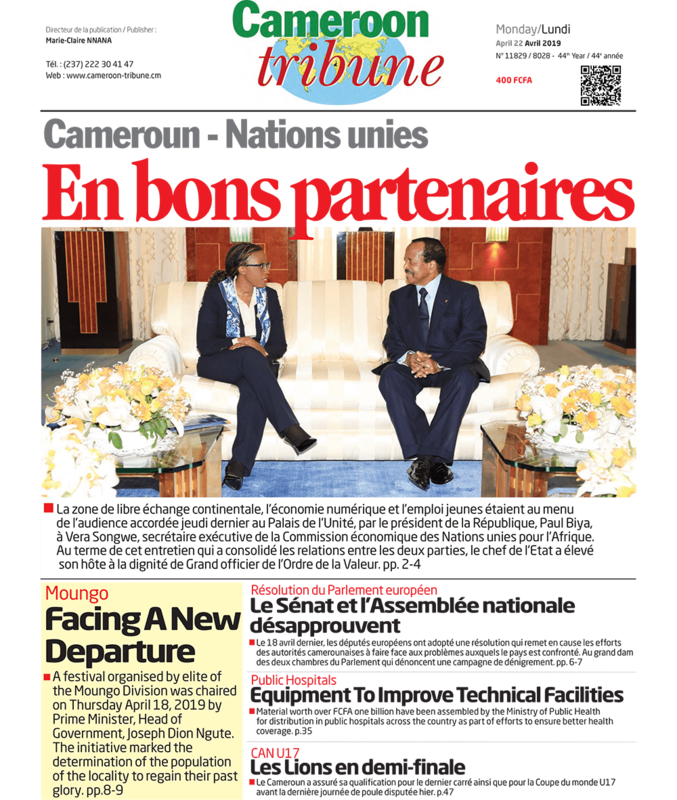 The challenge all Cameroonians and their leaders face is, working together to see that this commission starts functioning. For, there is no meaning in a right step, if it takes several weeks, if not months for the next measures of implementation to be effected. The Anglophone crisis, in effect, a Cameroon’s problem is a threat to our unity. But regrettably, unpatriotic sadists have taken an advantage of the strike action and are perpetrating destructive acts leaving innocent citizens in hardship. The burning of markets, school buildings, and even offices has not been ordered by teachers or the lawyers on strike. Yet, the public is succumbing to this destruction which can worsen if we do not work hard to alter the disturbing trend. At this crucial moment of reflection and action in response to the Head of State’s example, parents, teachers, lawyers, all Cameroonians and their well-wishers should ponder over the future of innocent school kids that are being deprived of their rights to education and stall this trend. We can, why not? Let us give dialogue the place it deserves in this crisis and keep our country at the enviable position it deserves on the continent of Africa. This crisis , we beleive can not rob us of this enviable attribute. Who doubts that he secret for success is love of the country, its future, and the need to contribute all that is necessary to keep us united in peace and understanding. ?